AMMONNEWS - “This war is coming to an end” insists a wide assortment of Syrian and Russian officials, “and it is now time for the refugees to return home.” Nothing better reflects a return to normalcy than the return of thousands of Syrians, being marketed as poster boys for victory by the Russian government. The Russians have set up a centre with the Syrians, hoping to repatriate 1.7 million refugees, out of 5.6 million registered Syrian refugees worldwide by the end of the year. The website of the Russian defence minister said 2,643 refugees had returned to Syria from Lebanon since July 18 and the United Nations said 750,000 internally displaced Syrians had been repatriated since January. The Russians are pushing for the creation of a portfolio of “Refugee Affairs” in Damascus. The Russian Defence Ministry has set up the Joint Coordination Centre (JCC) with the Syrian government, dedicated exclusively to refugee return, with four branches on the Syrian-Lebanese border, Damascus International Airport, Baniyas on the Syrian coast and one in the city of Deir ez-Zor on the Euphrates River. A fifth was being prepared in the ancient city of Palmyra, which the Russians liberated from the Islamic State in late 2017. Russian officials have recently been visiting countries with significant Syrian populations, such as Jordan, Lebanon, Turkey, France, Greece, Sweden, Portugal, Germany and Estonia. They expect approximately 300,000 to return from Turkey and up to 200,000 from the European Union. Modest numbers, no doubt, given that Turkey hosts 2.6 million Syrians, 600,000 live in Germany and another 116,000 reside in Sweden. Most countries have been very responsive, eager to rid themselves of the financial and security burdens of the Syrians. The enthusiasm for hosting them, which peaked in 2015, has generally fizzled out. Those who integrated into society and learned the language of their host countries will be welcome but those involved in criminal activity will likely have their refugee status revoked and be shipped back to Syria. The situation is different in the Arab neighbourhood, however. 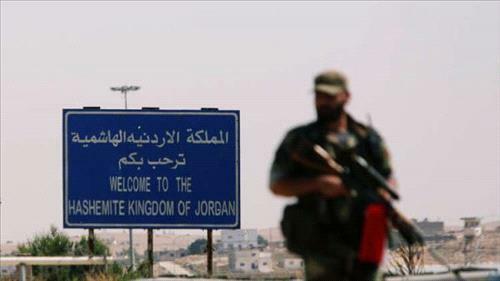 Jordan hosts approximately 1.4 million Syrians, draining the already slim resources of its 9.4 million residents. It has cost a fortune to house, feed and school them. A change of heart was clearly expressed in July 2017, when Amman closed its borders to more refugees as the Russian Air Force pounded the armed opposition in southern Syria. It is preparing to do business once again with Damascus, after seven years of highly strained relations, through the reopening of the Nasib border, recently restored to the Syrian Army. After recent Russian-Jordanian talks, Amman said approximately 400,000 Syrians were due to return home. The Lebanese are more divided. Hezbollah wants them out, afraid that if they stay for too long they might marry into Lebanese society and make it more difficult to uproot them. The majority of the 1.5 million Syrian refugees in Lebanon are Sunni Muslims, which would tip the delicate confessional balance in the country. The Saudi-backed March 14 Alliance, which handles the portfolio of Syrian refugees, wants them to stay, seeing them as steady income for the treasury, in the absence of investment and Gulf tourism. The Turks are more at ease with the issue, having neatly divided its Syrian refugee population. Potentially useful Syrians — ranging from craftsmen and artists to technicians and medical doctors — have been repatriated and all of them are pro-Recep Tayyip Erdogan to the bone. Unwanted or potentially troublesome refugees are to be repatriated to a buffer zone the Turkish Army has been carving out on the Syrian-Turkish border, in cities such as Jarabulus, Azaz and al-Bab. To please the Russians, it might force a small number of them — 300,000 — home, adding credibility to the Russian efforts. Although originally uneasy about the sudden return of thousands, Damascus has seemingly caved into the idea as well, convinced that it can use them to attract donors and international aid, just like Jordan and Lebanon have done since 2011. Thousands of young men will fill a giant gap left behind in society, finding their way into the labour force, student body and compulsory armed service. The Syrian government has persistently refused to issue a general pardon, insisting on a case-by-case study of returning refugees. Those refugees wanted for military conscription are still being drafted into the army, although given a 6-month grace period before enlisting. Those wanted for political reasons or for having carried arms at the onset of the Syrian war are only being allowed back in if they join and support the Russian-led reconciliation process. Donor assistance to returning Syrians has been shy due to the reluctance of Europe and the United States to openly admit defeat in Syria. Most countries repeated time and again that they would never join the reconstruction process if Bashar Assad remains in power. The first to silently backtrack was France, delivering 40 tonnes of aid to residents of Eastern Ghouta, through a joint operation with the Russians. Eastern Ghouta is no longer in the hands of the armed opposition but fully controlled by the Syrian Army since April. If more money doesn’t start coming as planned, Damascus hopes to have these same refugees rebuild their towns and villages, providing them with security and basic services such as electricity, water and building materials.